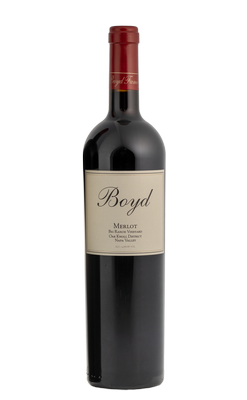 The varietal that started it all for Boyd Family Vineyards! After aging in 70% Nadalie and Taransaud barrels for 22 months, the Merlot was blended with 7% Cabernet Sauvignon and 3% Malbec from the Napa Valley. This blend accentuates the black fruit of Merlot with vanilla overtones that express the deep rich flavors of our vineyard.